Applications must be sent online at a loss to rural post office service. The survival of post offices may be threatened, but that hasn’t stopped the Government from ordering farmers to abandon the network. 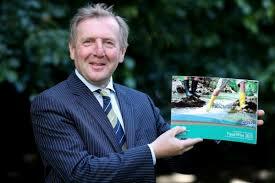 Minister for Agriculture Michael Creed. Creed, farmers must in future go online to obtain the EU Basic Payment. Although farm bodies are beginning to wake up to what’s happening, Creed is understood to have motioned that he is not for turning on the issue. The decision is binding on all applicants – even those in rural areas where there is no internet connection must conform to the dictate. A letter circulated by Creed’s department categorically states that “…100% of BPS applicants will be required to apply for BPS by submitting an online application from 2018 onwards.” No ifs or buts, that’s the decree as issued by Creed. He describes the measure as an EU regulation. Of course, the move will not mean the same for every farm family; some will already be using the online facility. But what of those who don’t have online? As well, many farmers in places where online is available are not necessarily familiar with the operation of the system. In prescribing online as the only avenue through which applications for the Basic Payment Scheme will be entertained the Fianna Fail partnered Government is also backing away from its claimed commitment to the future of the rural post office service. Thousands of farmers have submitted applications for the EU payment through post offices up and down the country. Now, that has been kicked to the side – farmers who refuse or fail to take the internet route will apparently lose their entitlement to payments or have to employ consultants to do the uploading for them. No financial support from the Government or the EU will be available to cover the cost of the consultancy work. 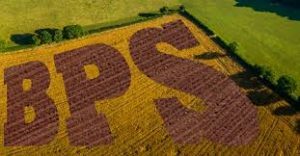 “I received a complaint that the EU Single Payment Scheme Application Forms, which are issued annually by the Department of Agriculture, Fisheries & Food, contained pre-printed data in respect of the date of birth and PPS number of the farmers to whom the forms are issued. A farmer informed my Office that he, and many other farmers, would usually need to get professional assistance from Teagasc or other qualified agents in the completion of these forms. “He pointed out that the pre-printing of this personal data on the forms infringed his privacy as he had no means to restrict his professional adviser from viewing his date of birth and PPS number. He also stated that it would be normal for those professional advisers to retain copies of the completed forms in case the Department of Agriculture & Food raised queries which might need to be referred back to the advisers at a later stage. 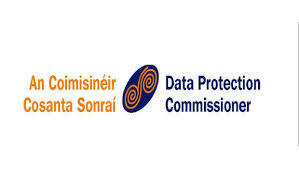 “In contacting the Department on this matter, we highlighted that both PPS numbers and dates of birth constitute personal data and are, therefore, subject to the protections set down in the Data Protection Acts, 1988 and 2003. We went on to state that in a situation where the Department sends out forms with personal data pre-printed on them and is aware that the recipients may need the assistance of third parties to complete them, the Department must make every effort to ensure that only the very basic personal details – such as name and address – are pre-printed. “We pointed out that the problem with pre-printing other personal data is that it gives the recipient only one choice in terms of safeguarding it – that is that he/ she could blacken it out or otherwise delete it prior to showing it to a third party. We expressed some doubt about whether the Department would welcome the return of completed application forms which were somewhat defaced. Finally, we drew attention to the potential risks to the privacy of an individual where their personal data, such as a PPS number, fell into the hands of a third party. “The Department examined the matter, and it immediately set about taking into account the concerns which my Office had expressed. In the drafting of the Application Form for 2008, the Department commendably removed completely the data fields concerning the applicant’s date of birth and PPS number.